Help made Simple - Domestic Cleaning & Ironing. We carry out the chores you hate. 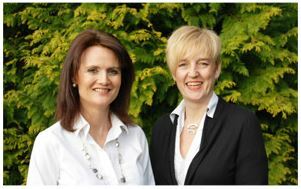 Nikki and Nanci operate throughout areas of Surrey and Sussex as sister companies. We will provide you with the same friendly, capable, and dependable Home Help (minimum 2 hours per week), so that you can make the choice as to how you spend your time. That way you can spend more time enjoying your home, being with family and friends, or doing the activities you love or need to do, basically we carry out the chores you hate, so you don't have to. We provide a Free no obligation visit to your home to introduce ourselves and discuss and prepare a specification of your needs. Our service is bespoke; It's your Home and we regard it to be of prime importance to match the right person to help you from our team of Local Home Helps. I am very happy with the service provided. The cleaners are 100% reliable and do an excellent job. I would certainly recommend them. Help Made Simple has lived up to its name, the process has been very straightforward and our cleaner Louise is fantastic, I am very happy with the service and would wholeheartedly recommend to others. We've had reliable, competent and friendly service from 'Help Made Simple' for several years, and would have no hesitation in recommending them. Help made simple are very easy to deal with and found us a cleaner who is excellent. Danielle is very flexible and happy to take direction. She's reliable and the cleaning we get is good quality. It's a job off the list that is done well and at a reasonable price. I would definitely recommend. Having Sarah to clean on a Friday is a great start to the weekend! I come home from work knowing my house is sparkling clean so I can immediately relax and enjoy the week end ahead. She’s doing an excellent job & I’m enjoying the luxury of having my house clean each week, certainly making my life easier. Sarah goes the extra mile, nothing is too much trouble. I am very happy with the service provided. Firstly-I have already mentioned you to two of my friends who will shortly need a cleaner. Secondly, I found you efficient, business like and you quickly understood my requirements. The cleaner you sent is excellent-best I've ever had! I'm so pleased I decided to use Help Made Simpler to get a cleaner. Lucy is great; friendly, efficient and reliable and she has made a huge difference to the look of the house. She does the basic clean that I like but then has time to do the few extra things I would never get round to. I'm really pleased with the service both from the cleaner and the company who check that things are going ok on a regular basis. I can't speak highly enough of your cleaning services and Deborah is a lovely lady and excellent at her job and I would certainly recommend your services and on a scale of 1 to 10. I would give you 10. I cannot tell you how happy I am with Anabela, she does a first class job. Help made simple are a good trustworthy cleaning company I would have no problem in referring them to my friends and family. Sarah is doing an excellent job, can she do extra hours! We are so happy with Rachael, she does a fantastic job and we are really pleased with the service she provides. We would definitely recommend help made simple (10) to family or friends. I am very happy with the service I am receiving. Honest, professional, reasonable prices and a very friendly cleaning lady. I intend to keep using this service for a very long time. We are delighted with Debbie. She has been a breath of fresh air to my parents and they are so thrilled to see her every week. I can’t begin to say how thankful we are for her help and patience in listening to my parents and always being a cheery face. It takes a weight of their mind to have her help out with the cleaning but more than that, it breaks up there week and they look forward to her visit. With regards to cleaning -everything is going very well . -Leoni is just brilliant and such a reliable asset for our family that we simply cannot imagine her not being around ! Help Made Simple has organised everything so efficiently that I "simply" don't have any concerns at all regarding domestic duties. Wonderful ! Anita, who has been helping me, is leaving. I shall be sorry to lose her. I have been very pleased with Anita's work and would recommend Help Made Simpler to anyone who needed help with housework. Jo is great, organizes me every week which given my hectic life is invaluable. She is also very understanding re foibles of my children and the cats. Terry is pleasant and polite and works so quickly and efficiently. I am very pleased with her work and like the way she manages the house doing other jobs on a rota when completing the core necessary task. We have used Help Made Simple for several years now and have been very pleased both with the standard of cleaners and with their general service. When a cleaner has been away, they have made every effort to replace the cleaner on the day we need them. They are helpful, friendly and efficient and we would recommend their services. We are extremely pleased with our cleaning services, I liked that we personally got to meet both Nanci and Tane before we were asked to fully commit - gave real peace of mind. Tane is doing a fantastic job, she's extremely efficient and the standard is second-to-none. Tane goes above and beyond and it's wonderful to come home to a sparking house every week, though I don't actually get to see Tane, we leave each other notes which is a really nice friendly touch! Being a busy, career-driven couple with children it's a weight off our minds knowing that we don't have to worry about cleaning and the house has never been so clean! I would 100% recommend Help Made Simpler! Louisa has been cleaning with me for nearly a year now and she is extremely reliable and thorough and always willing to do more when needed, - I wouldn’t be without her. I’m really happy with Deborah, our cleaner, and would recommend her to friends or family (without hesitation) so on a scale of 1-10 it would be a 10! Our cleaning lady Barbara is part of our family now, she does a fantastic job and always does extra for us, time permitting. I would recommend her to my friends and family, and give her a 9 out of 10. My company has been using Help Made Simple for three years to provide cleaning staff for our offices in Nutley. Every cleaner that has come to us from Nikki has provided us with a top class quality of work, as well as being reliable, trustworthy and discreet. Having the backup support that using a cleaning company offers, ie carrying out staffing checks and finding replacements for holiday cover, sorting out problems swiftly when they arise etc, gives me the peace of mind that we will receive a dependable and continuous service. Thank you for your message. All is going well, I am very happy with Bettina and Eva and a good line of open communication with them if things require tweaking! I always recommend you to friends and family! Lily and Jenny have been a pleasure to have in the house. They are quick, efficient and I am hardly aware of them whilst I am working at home. They are always on time and reliable. It has taken a huge burden off my shoulders which I really appreciate. I have never used a cleaning service before but Nikki was very professional, friendly and made me feel at ease. She put me in touch with Clereece who is simply a gem. She handles my house like a family member with care and attention. She is proud of her work and it's clear from the results. She is also flexible, sometimes I have needed an extra hour and she has elected to start her day earlier than she normally would to accommodate that. I really could not recommend them enough. Many thanks for your email. We are very happy with the cleaning. I would definitely recommend your company and give the cleaner a 10. I am really happy with Help Made Simple. Prior to the allocating of a cleaner Nikki came to the house to discuss everything that was wanted from the clean. I found this to be very useful, firstly to find out how many hours I would need for the cleaner to cover the whole house or part of the house and also to find out about how the service would work. The cleaners allocated to me are very pleasant indeed and arrive each week complete with smiles. They keep in touch to make sure that I am happy with everything. Cleaning is going really well thanks. I would recommend you – 10. I just wanted to write and thank you for having arranged for Marion to take on our cleaning. She is absolutely excellent; reliable, hard working and very thorough. Our lives are so busy with work and the family we would struggle without her now. She has established a routine that leaves the house sparkling, and enough time for something extra each week (last week I asked her to shampoo the carpets downstairs, where the children had trod mud in from the garden, and they look like new now!) I really can't rate her highly enough, her house cleaning is first class and she has fitted in so well she has become like a member of the family. it's wonderful after a long day at work to come back to a beautiful clean house. 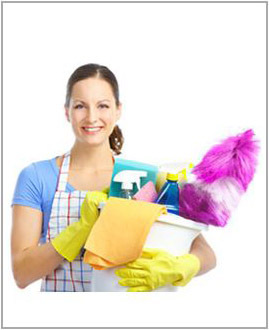 I wouldn't hesitate in recommending you to anyone who is considering a domestic cleaning company to clean their home. Thanks for the email. It's all going well thank you - Angie has made a really good start and she is making such a difference. I also wanted to say that both my daughters ( aged 16 and 18 ) who are both at home revising at the moment say how nice Angie is - lovely to hear! It's a 10 from me. "We are very happy with Tracey. She is quick and efficient and a very pleasant person. We would certainly recommend you to friends or family". We're very happy with the cleaning. I'd say 9/10 re: recommending someone. "May I take this opportunity of congratulating you on your excellent cleaning staff. Marion has done a brilliant job for us, she is always on time, hardworking and extremely thorough. She has been a pleasure to have around the house. We have been particularly grateful that, on occasion, she has stepped in at very short notice to help us with the house and the kids - it has made all the difference to our family as we have only recently moved to the area. I would also like to thank you in terms of your management and attentiveness, we feel we have received an excellent service". I am very happy with Debbie doing my cleaning. She works hard and is a pleasure to have in the house. I actually have recommended her to my neighbour for whom she started working today. It was arranged through Nanci. "Dear Nikki, I wanted to let you know we have been delighted with Sue. She has been coming a few months now and she is both a lovely person, a miracle worker and a brilliant cleaner. I wouldn’t have found Sue without you so thank you so much for finding her for us and providing such a great cleaning service". Just to let you know, Ibby is doing just fine thank you - very happy. And would definitely recommend! "I was introduced to Help Made Simple by a friend and couldn't be more delighted. Nikki Lee visited our house and spent time getting to know the place and how I liked things done. She then went through the paperwork, explaining her insurance cover and so forth. The very next week, our cleaner Tara started. She does a brilliant job, works very hard and takes initiative. While we were away, she did a more thorough clean and to our delight when we returned from holiday to fresh bedding and a clean house, she had also taken all the bottles and cans to the recycling depot. I would have no hesitation at all in recommending Help Made Simple. Fantastic service and a very reasonable price". Thank you for your e mail. Louise is a charming young lady and quickly understood how I like to have the house cleaned. I have already recommended the company to several people. "Marion is lovely, she works 4 hours a week for us and is always happy to do anything that I mention. Ginia also does some ironing every other week and is excellent. I would certainly recommend Help Made Simple to friends and family". "Many thanks for providing us with Angie, she was excellent, she did everything I asked and everything has been done just the way I like it. Excellent service and excellent cleaning I’m going on holiday relaxed in knowing she will do a good job. I’d happily recommend your company. Very efficient and reliable. So glad I made the call to you". Nota and Eleni are excellent and we have nothing but praise for them. "I am very happy with Ginia. I think she is lovely, responsible and she is now part of our family. We all love her including the dogs. I would recommend Help Made Simple to anybody". I would definitely recommend Help Made Simpler - Nanci has been great - I would give her a 10! "I have been delighted with Help Made Simple. It is a very well organised business and our cleaning lady, Angela, is brilliant. She cleans really thoroughly and tidily and the spiders are running for cover!" I certainly would recommend your service with a 10. "After many years of trying to do it all, Help Made Simple came to my rescue. We have a fantastic lady Lynda who methodically cleans for us to a very high standard and who is trustworthy, helpful and professional. I’m no longer stressed about my home being clean and tidy - I have free time to take care of myself and spend quality time with my family". "Help Made Simple have certainly lived up to their name. When Nikki came to visit us at home to discuss our requirements, her professionalism, approachability and attention to detail were really reassuring. I also liked the fact that all Help Made Simple's cleaners have been vetted so I didn't need to worry about getting references myself. Nikki quickly found us a lovely cleaner (Tara) who has suited our needs perfectly. We're happy with value for money too - it's been a worthwhile investment in so many ways. Tara has been working for us for 4 months now and she's been really conscientious, efficient, flexible and pleasant to have around. I have no hesitation in recommending Help Made Simple." All is great. Deborah is fantastic thankyou. I would definitely recommend her. 10 out of 10! "I am extremely pleased to have Virginia working here once a week. I am on my own and can rely on her with all the heavier tasks such as cleaning, changing the sheets on my bed and handling the wheely bins. She is also happy with a range of smaller jobs which occur from time to time and seems to be able to draw on wide experience. Virginia is lovely and a pleasure to have around. I would certainly recommend her and could not put forward an index of less than 10 out of 10.". I would be happy to give you an 8 based on the fact that Edina is an excellent cleaner. I do hope Edina will stay with me for a very long time, she is great. "An excellent cleaning job on our home - thank you Samantha! I was very impressed with the efficiency of 'Help Made Simple' and would definitely use their services again. Having called many companies and had very high quotes, 'Help Made Simple' offered fair rates and were easy and professional to deal with. I would highly recommend them". I am very happy with the work of Stephanie and Veronique. They are cheerful and hard working and I hope they stay with us! "I write to congratulate you on the excellent service I have received from your company. The weekly cleaning and ironing which is handled by Lynda is always to a high standard and allows me to enjoy my free time from work which is precious. The emergency service which you kindly arranged for my business during building renovations, has allowed us to open our clinic on time each day. Thank you again and keep up the good work". I am really delighted with the service I have been receiving from Help Made Simpler for the last two years; the two ladies who have taken care of my domestic cleaning have been conscientious, professional, friendly and trustworthy. This matched by very reasonable rates makes the company highly commendable for its ethos and responsible approach to its clients. "Help Made Simple really does provide an efficient, reliable and friendly service .When one cleaner had to leave Nikki had found me a replacement cleaner within the week. Having an excellent cleaner from Help Made Simple has redressed the balance to my working week and freed up time for me". Re your e-mail regarding Home Help. Louise has been coming to us once a fortnight since June 2016. She is a delightful girl, prompt, reliable, very careful and does a thoroughly good job, getting into all the corners. We would have no hesitation in recommending her. We have only been in E. Grinstead for a relatively short time, and had to look for domestic help. After searching around we found your company, and are very pleased with the Company and the quality of the service you provide. "All is going very well with the cleaning. Janice is very reliable and willing. I would recommend the service and give it 10 out of 10." We cannot praise enough the wonderful help and support we have received through Help Made Simpler from our two ladies. Apart from their excellent cleaning skills and attention to detail, they are the first people with whom I have felt comfortable leaving our key, whilst we are away from home. They recently spotted a problem, which could have turned into a disaster, during our absence. They did not panic but calmly dealt with the entire situation, visiting our home daily, dealing with workmen, until the situation was resolved and continued to do so after the event. Nanci also visited to help and offer her support. They gave us updates and photos and saved us a long and costly hasty return. Eleni and Nota deserve our thanks and gratitude and long may they remain with us as helpers and friends. Two special ladies." "Many thanks to ‘Help Made Simple’ for assisting me swiftly, promptly, and efficiently with my end of tenancy clean. Nikki responded immediately to my last minute request for help with the clean. Nittiya who helped me was extremely efficient and flexible in meeting my needs". "Hi Nikki, I would just like to say thank you so much for putting us in touch with our cleaner, Lynda. She does exactly what you said she would and we are very happy to come home every Friday to find our home gleaming". "I just want to say that I'm really pleased with Samantha. It makes a huge difference to come home to a clean house on a Friday evening, it's usually a real mess by the end of the week and she manages to make it all clean and tidy again. It means I can relax straight away. Thanks for finding someone who can do a Friday". "I used “Help Made Simple” for a one off 4 hour spring cleaning” for the extra jobs I just hadn’t got round to doing. Sue was very efficient, personable and carried out a very thorough clean of the areas I asked her to do. I will definitely call Help Made Simple again in the future for all my future spring cleans". "I am very pleased with Jude who cleans for me two hours every two weeks. I would recommend your Agency on a scale of 10.". "I am extremely pleased with professional approach and the quality of service provided by ‘Help Made Simple’. I needed their help after surgery to my hand and within a few days was provided with an efficient and friendly local cleaning lady. I am so pleased with the way my house now looks that I have decided to keep her on". "Thank you so much for arranging my house cleaning. I really appreciated your quick response at short notice. Nanci did a wonderful job, was very pleasant and friendly and I felt entirely at ease having her in my home". "Having Sandra come and do our cleaning has made such a difference to us, by the time she leaves each week I know the house has had a really detailed clean It has enabled me to feel much more relaxed and organised and spend more time with the children rather than have to worry about when I am go to fit in the cleaning. Thank you so much for providing us with a great domestic cleaning service!" "Youla and Jack have done a fantastic job of our ironing and they are always very friendly and polite, I can’t believe how quickly they work and how promptly they turn round our ironing each week. Please pass on my congratulations to them". "Sue has done a very thorough job cleaning my house and she is a very friendly and capable person always noticing what needs to be done. I have been very pleased with the service I have received". "Please pass on my thanks to Lucy for all her hard work and doing a great job both with my dogs and with all my house cleaning. Thank you also for your very efficient and professional service". "Many thanks for organising my End of Tenancy Clean at short notice, I really appreciated your help. Nittiya did a great job, she was very thorough, efficient and fast and it was completed in time to meet the deadline". "Reliable, Hardworking, Professional and Flexible !!!" "Many thanks for your seamless assistance in finding Angela for me and your consistent level of support in keeping things on the straight and narrow since Angela started cleaning for me earlier this year. It’s great to have someone good to help out whom I can patently trust. I’d also like to say thanks for your help in arranging Sandra to clean for my Dad on his recent return from his hip operation, I know it was a real help for him and he thought Sandra was great. Again, I really appreciated your assistance in making me look good and being on hand to help things go smoothly"
"Hi Nikki, I was really pleased with Lynda’s work and it was nice to have someone around the house to keep me company when I was ill. Thank you for finding someone so quickly". "I have been using the company HELP MADE SIMPLE for several months now and have been extremely pleased with the service offered. I have found the owner Nikki Lee to be very friendly, helpful and accommodating. She came for an initial meeting to take a look at the house, write detailed notes of my requirements and handover paperwork. Other contact has been by phone. The cleaners have been very friendly, efficient and punctual. I have used them not only for cleaning but also for ironing. Nikki has managed to arrange alternative cleaners on the couple of occasions that I have had to change my regular day to suit me, even offering to come and sit with them in my house if I couldn’t be with there! I have not used a cleaning company before and have found it to be extremely good. I am very busy and have managed to bypass any potential problems when either a cleaner has been ill or I have wanted to change the day. I also feel very confident to leave them in my property, once I know them and have given them a key. The insurance and added security is a huge bonus. The other advantage is that I feel comfortable to approach Nikki with any issues rather than the cleaner if I have felt it more appropriate. Overall, I would thoroughly recommend this company".